Love the front cover on this last issue, Amy! 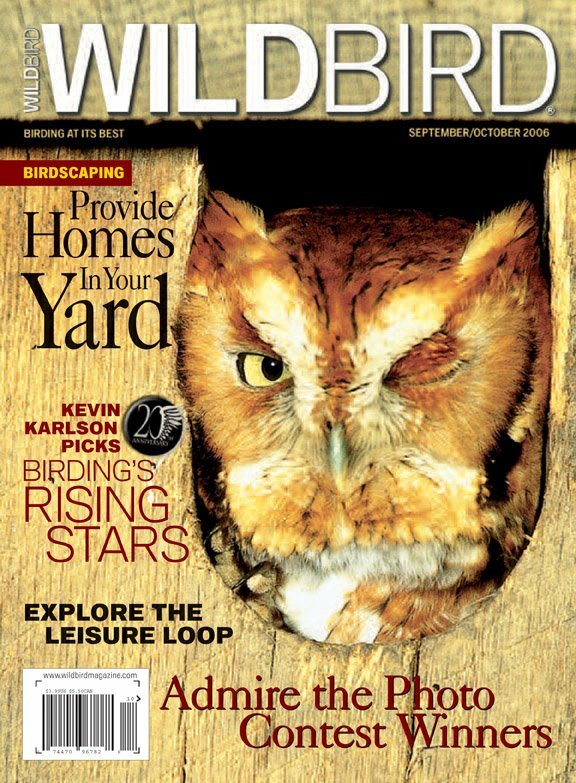 My four year old looked at it and said "Mommy, that screech owl is winking at us!" She's way into owls right now. She got to go with me when I did a rehab release of a gray morph SO. P.S. I will never misspell WILDBIRD. Ever. LOL, Susan! So glad to hear that your little one likes the cover. Thanks for the feedback! 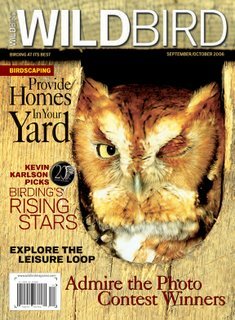 I can understand how attention to detail would be VERY important and how it could make or break a query letter, but the cover of the magazine does say WILDBIRD (not WildBird) and the website does is WILDBIRDmagazine.com so there is some inherent ambiguity that might not indeed be a lack of paying attention to detail. As for writing to an editor that left 8 years ago that is a bird of a different color. Thank you for the infroamtion as to how an editor thinks!